CHARACTER SELECT GO! In Episode 62 TFG1Mike and JT From Saskaton talk about the beloved Spider-Man: Blue, and then they find things go downhil when Black Cat isn't involved in her own RETURN! So tune in and find out what we thought of Blue and Return of the Black Cat. 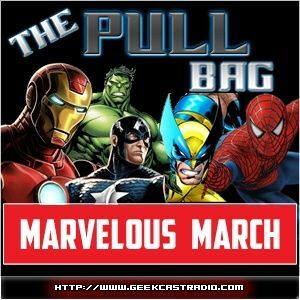 As Marvelous March Continues here inside The Pull Bag! MAK YOUR GREAT ESCAPE INTO COMICS!